It usually takes 2-4 days to pack the order and ship. 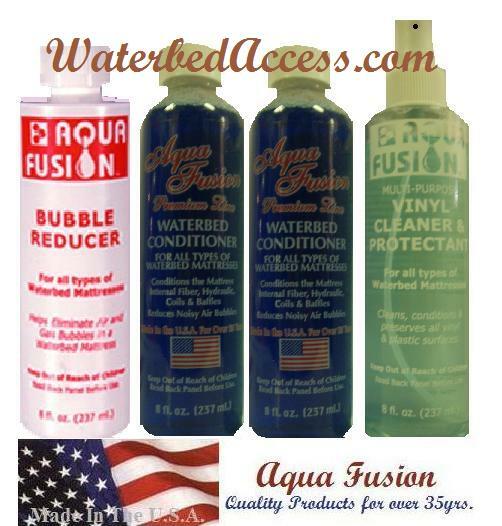 Complete bed is a Queen size 60" x 80"
This has to be the most comfortable queen size free flow waterbed ever made. With a modern Bamboo Euro top cover it has a super soft quality feel. 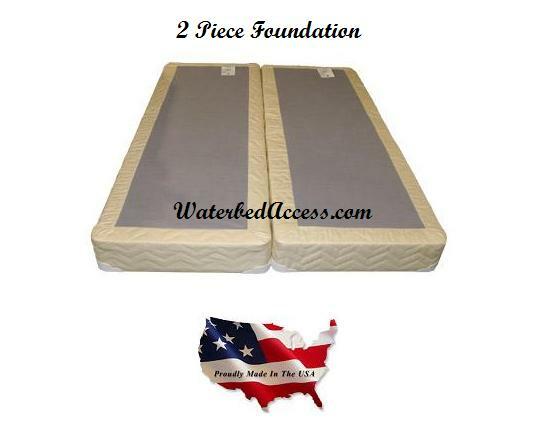 For the outstanding traditional waterbed feel we've combined this Euro top with a 7 " deep fill free flow water mattress. The Bamboo Euro top provides a very soft & breathable surface between you and the free flow water mattress which adds to a healthier restful sleep. 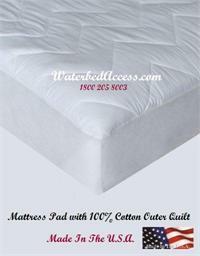 The mattress has movement just like the original waterbeds and it also has a very luxurious style. 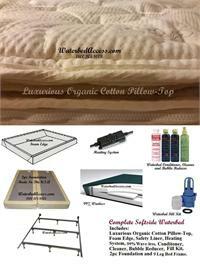 If you are looking for the most comfortable free flow waterbed mattress then you may be interested in the details below. 30% of your day is spent in bed. This time buy what your body needs. 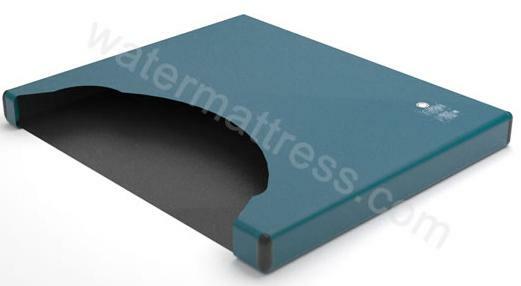 We hand picked the outer material for this mattress "No one else has this exact mattress the way we sell it"
The outer material of this luxurious mattress is made premium bamboo quilt. Durable yet soft in a creme color it also has a tack & jump quilting pattern for a high plush loft. 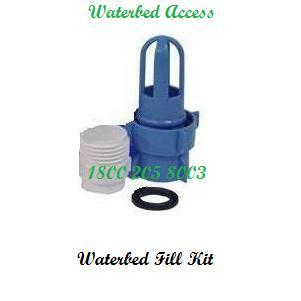 It has a layer of visco gel which is extremely soft and it is a perfect combination when sleeping on water. The Euro top cover unzips off from the bottom. 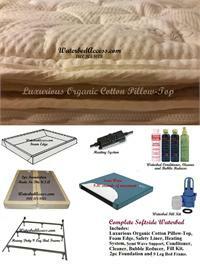 The above combination of materials makes this plush cover the perfect sleep surface soft and breathable. 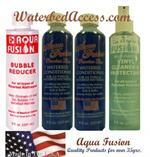 Free Flow Support has a lot of movement like the original waterbeds. 10-15 seconds of movement. Very comfortable feel. If you want a mattress which has movement then this is a great choice. 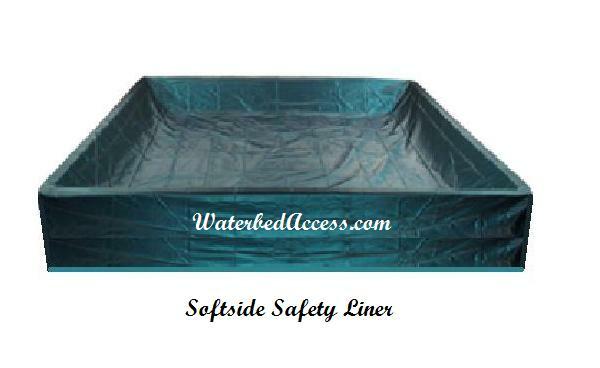 The free flow bladder is constructed with rich virgin vinyl & reinforced corners for durability . 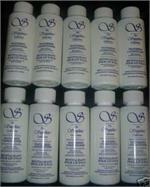 The foam edge is made with high density foam. 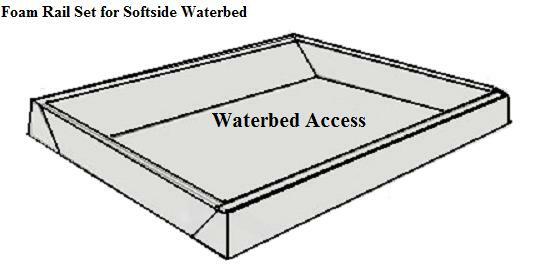 It designed to support the weight of the waterbed on all sides. The foam rails are connected to the opposite side for added support. This system makes it easier to get it in and out of bed. Sturdy wood foundation for extra strength and support which is covered in fabric. 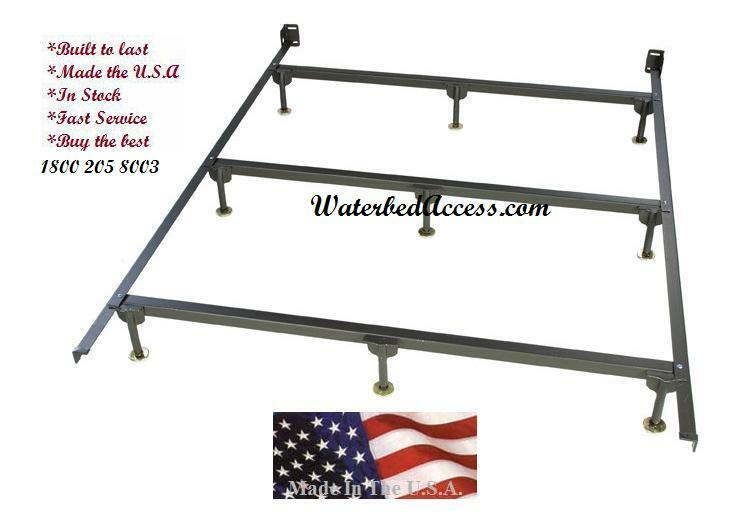 9 Leg bed frame holds up the bed and it can be attached to most headboards just like a regular bed frame. 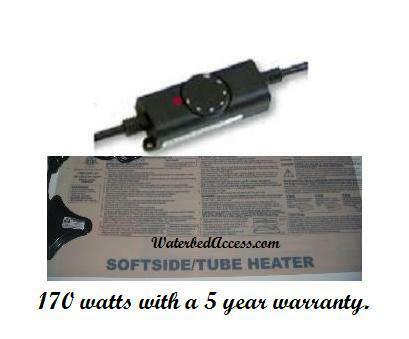 The waterbed heater included with this bed is our most reliable unit. It has a dial which allows you control the temperature with ease. It will keep your mattress at the preferred temperature desired. The height of the mattress is about ten inches in thickness. the overall height of the complete bed is about 23". 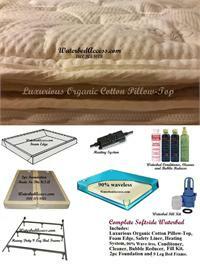 Experience the luxurious and comfortable feel of this Premium Organic Cotton pillow top Softside Waterbed. Queen size includes a 90% waveless single bladder or dual bladder ; 5-6 secs of movement. Its tack & jump stitch which increases air flow & comfort.